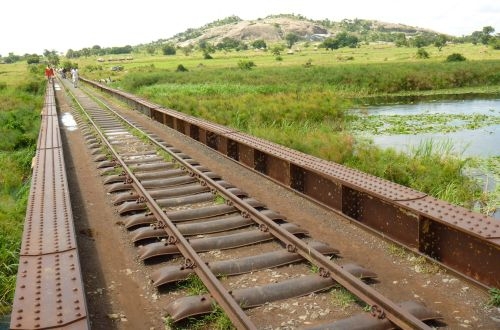 The European Union has approved to ﬁnance the project for the rehabilitation of the Tororo-Gulu railway. A grant of EUR 21.5 million (About 91 billion) will be disbursed from the European Development Fund (EDF) to rehabilitate this key transport infrastructure in Northern Uganda. The EU Head of Delegation to Uganda, H.E Ambassador Attilio Paciﬁci, together with the Minister of Finance Planning and Economic Development, Honourable Matia Kasaija put pen to paper on the ﬁnancing agreement for the project. The objective of the project is to reduce the transport costs within Northern Uganda and beyond, including South Sudan and Eastern Democratic Republic of Congo. Once rehabilitated, the Tororo-Gulu railway will allow a signiﬁcant part of cargo currently moving on wheels along the Northern Corridor to transfer to rail. With this project the EU continues to support the transport sector in Uganda and the promotion of a multimodal transport plan focussing on the development of environmentally friendly transport modes such as railways and waterways. The project is also a mark of the EU’s commitment to continue supporting Northern Uganda. Together with the Gulu Logistic Hub, also funded by the EU, the Tororo-Gulu railway rehabilitation project will crucially contribute to improve performance of Northern Uganda’s key value chains by facilitating cheaper import of export of products. The Tororo-Gulu railway line used to be a pivotal economic artery along the East African Northern Corridor linking the port of Mombasa and Eastern Uganda to Northern Uganda, as well as to South Sudan and Democratic Republic of Congo. The line has been out of service since 1993 because of unrest in Northern Uganda and unfair competition of overloaded trucks.